Sogamoso is Sugamuxi's Capital, and one of the 13 towns of the province. Town's full size= 214 km2 (half the size of Barbados). Main economic activities: Agriculture, livestock, industry, and mining. "Sogamoso" means, City​ of the Sun, according to Muisca culture and language (it comes from "Suamox"). 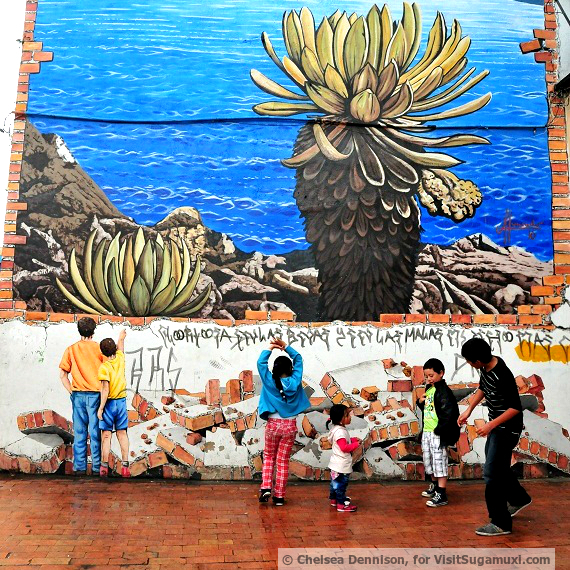 With a population of 150,000+ people, Sogamoso is one of the main cities of the whole region of Boyacá. It has plenty of commerce opportunities with numerous nice places to enjoy. Sogamoso, or the city of the sun, is the capital of Sugamuxi. It is also known as or the "Rome" of the Muisca culture because it was the main site to host community meetings and is home to the Temple of the Sun. By bus: From major cities such as Bogotá, Bucaramanga, Tunja, San Gil; the route is through Tunja (after Tunja you will pass Paipa, Duitama, and will end in Sogamoso). The bus service is frequent and available 24 hours daily. Distance from Bogotá is 210 km, from San Gil 250 km, and from Tunja 70 km. By car: Once you get to Tunja (from Bogotá or anywhere else), follow the route Tunja - Paipa - Duitama - Sogamoso. San Martin de Tours Cathedral and Santa Bárbara church. Various markets in the city filled with local foods, exotic colors, and an authentic Colombian experience. Here we share some external sources we recognize appropiate for responsible travellers, nonprofit and in line with our own perspective of promoting tourism. You may find them interesting to navigate for more information to appreciate Sogamoso and explore what to do in this town.